One of my favourite and most-used applications is Mindjet MindManager 2002. 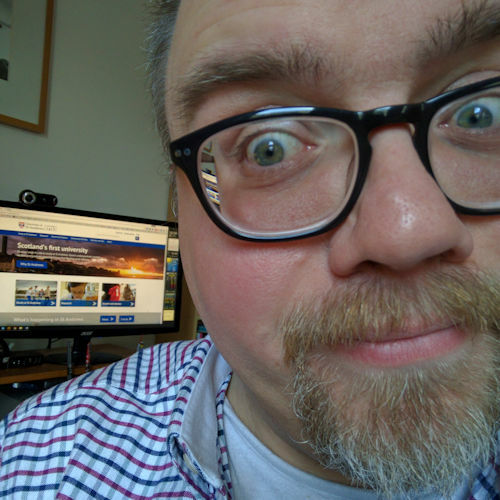 I use it for everything, from planning websites and managing complex projects to helping to decide what to buy people for Christmas and reorganising my filing cabinet. Mindmapping is a fabulous tool and of all the mindmapping applications that I’ve tried Mindjet‘s MindManager family of applications are by far my favourite. They are attractive, powerful and intuitive to use. The good news is that there is a major new version coming out this week: MindManager 7, which uses the new Microsoft ‘ribbon’ interface, also known as ‘Fluent UI‘. I’ve said before on this blog that I’m a fan of the new Microsoft interface, as used in Office 2007, so I’m really looking forward to trying it within the context of mindmaps. If you already have a previous version of MindManager you can buy an upgrade to version 6 (before 30 May) and you’ll automatically receive version 7 free. Needless to say I’ve already upgraded. If you’ve never discovered mindmapping I urge you to download the MindManager trial and give it a go. At the university we used MindManager 2002 to manage and plan the migration of about 3,000 webpages very efficiently, and very effectively. This is the official Mindjet blog, which is as you might expect rather MindManager-centric. It’s a blog. About mindmapping. Who would have thought?! It has a very comprehensive list of mindmapping applications available for all your favourite operating systems, as well as Web 2.0-style web-based applications. This is one of the few web-based mindmapping applications that I’ve tried, and I have to admit to being impressed. Never has distributed community mindmapping been so simple. I’ll post a review of MindManager 2007 as soon as I’ve installed it and given it a whirl.